Click the chart for more on stocks. Strength in the health care sector gave stocks a shot in the arm Tuesday, pushing the Dow and S&P 500 to new record highs. All three major indexes closed at least 0.5% higher. The Dow Jones industrial average hit two new records: an intraday high of about 14,684, and a record close at 14,662. The S&P 500 closed at a record high of 1,570. The Dow and S&P have hit several new records during a solid 2013. Even with a slight retreat Monday, all three indexes are still up between about 8% and 12% for the year. Tuesday's rally was fueled by the health care sector, one day after the government announced welcome news for the industry: Medicare Advantage rates will jump by 3.3% next year, rather than the 2.3% cut that had been proposed previously. Shares of insurers Humana (HUM), United Health (UNH) and Aetna (AET) closed about 4% to 6% higher. As the bull market continues, some analysts are worried that stocks are due for a major correction. Famed investor Wilbur Ross, however, says the market is "fairly priced." "I think the market is where it should be right now," Ross told CNNMoney. "That doesn't mean there won't be volatility, but I don't think current levels are overdone or underdone." Outside of the big move in health care stocks, there was little else on the corporate or economic docket Tuesday. The Census Bureau reported that factory orders jumped 3% in February. That was slightly better than expected, and follows an underwhelming report on U.S. manufacturing Monday. Major automakers reported solid monthly sales figures for March. Auto sales at General Motors (GM), Ford (F) and Chrysler all posted U.S. sales gains of 5% or better, while Toyota (TM) sales edged up 1% from a year ago. Chrysler posted its best sales month since December 2007. Not all sectors were flying high Tuesday. Tech received a few spots of bad news, courtesy of Goldman Sachs analysts. 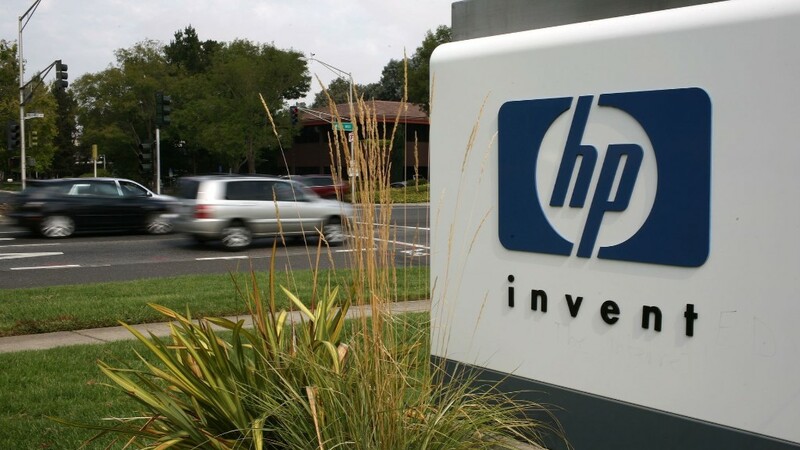 Hewlett-Packard (HPQ) shares slid 5% after Goldman downgraded the company to "sell." Goldman also kicked Apple (AAPL) off its "conviction buy" list and cut the price target to $575 from $600. Still, the investment firm is retaining its "buy" rating for Apple, whose shares closed slightly higher Tuesday. Nasdaq (NDAQ) shares slumped 13% after the exchange operator said it planned to buy eSpeed, an electronic market for Treasuries, from BGC Partners. 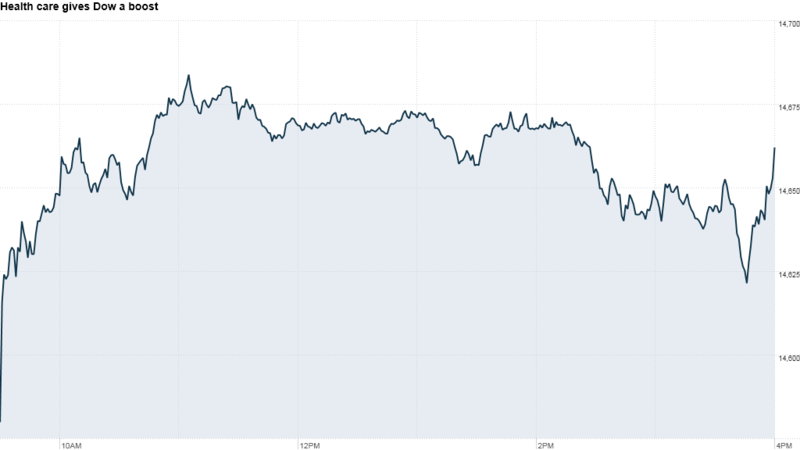 Investors may be punishing Nasdaq for paying a whopping $1.2 billion. BGC (BGCA) shares, meanwhile, soared 47%. European markets closed higher, while Asian markets ended mixed. The Hang Seng added 0.3% while the Nikkei dropped 1.1% and the Shanghai Composite lost 0.3%. Commodities, including oil and gold, were lower, while the yield on the U.S. Treasury 10-year note ticked up to 1.86%.